Entries have now opened on two competitions supported by a £20m fund to find the UK's most innovative ideas in how to 'revolutionise' roads and driving. Highways England is looking for ideas to develop digital roads, connected vehicles and infrastructure, design and construction that reduces cost and improves safety, better and more predictable journey times – and to improve air quality. 'One competition is for unproven feasibility projects which through a second phase closed competition could be further funded for development. 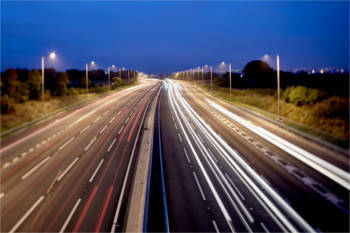 The other competition is for proven projects at development stage,' Highways England said. Mike Wilson, Highways England’s executive eirector for safety, engineering and standards, said: 'This is an exciting opportunity for entrepreneurs, collaborative partnerships, and organisations of any size to help shape the roads of the future.